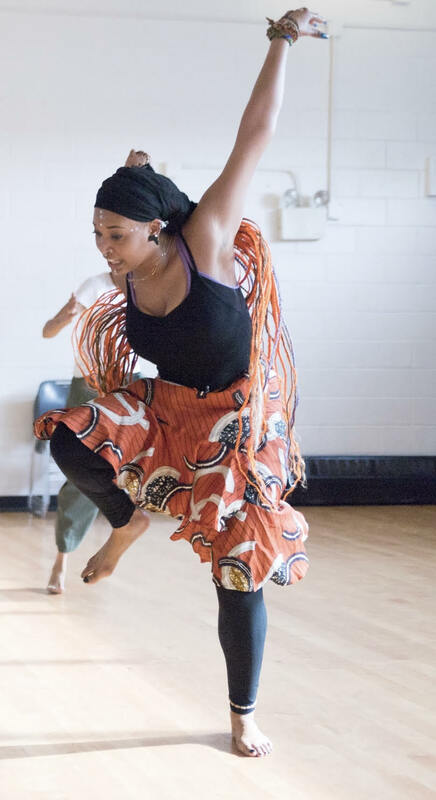 Through the cultural principles, movement, and history of the African Diaspora, participants will create community, discover voice, and tap into a liberated space through a high energy experience of Diasporic Dance styles including West African, AfroBeats, Hip-Hop, Social Dance, and Afro-Caribbean. Affectionately known as Dani Criss, The Artist; a multidisciplinary performer, teaching artist, and community organizer hailing from Durham, North Carolina, now based in Brooklyn, NY. She is heavily influenced by her roots and studies of the African Diaspora, as well as the advancement of her people everywhere. An artist dedicated to work that uses itself as an authentic, researched platform for conversation on social change and empowerment to the voiceless. Trained and performed with numerous artists and festivals; Choreographic works have been seen in various venues around the country. Check out www.danicriss.com for more information.